For large-scale industrial uses, 3-D printing’s promise is already well-documented. Engineers working in academia and other well-funded R&D ventures have used the technology, also known as additive manufacturing (AM), to produce sophisticated devices like jet-engine parts, and even artificial human organs. The AM machines used in this segment of manufacturing have six-figure price tags and require extensive technical training along with a good CAD background to operate. In recent years, with sub-$1000 and even sub-$500 3-D printing devices starting to appear on the retail market, we have witnessed the advent of consumer-grade 3-D printing technology. It has mainly been used to make nifty doodads and simple household items like lemon juicers and pocket combs, and if you know where to find the designs, you can make replacement Ikea furniture parts—which is about as useful as it gets for standard home use. But consumer-level 3-D printing is more than just a fad. Small businesses and manufactures are utilizing the technology as a way to generate quick, inexpensive prototypes the same way their big brothers have been doing with AM for decades. Others make finished products, or hyper-customized, small- or single-run fashion items. Armed with affordable 3-D printing devices, small business owners without formal design or CAD training are able to access this new technology and do what they do best—innovate. 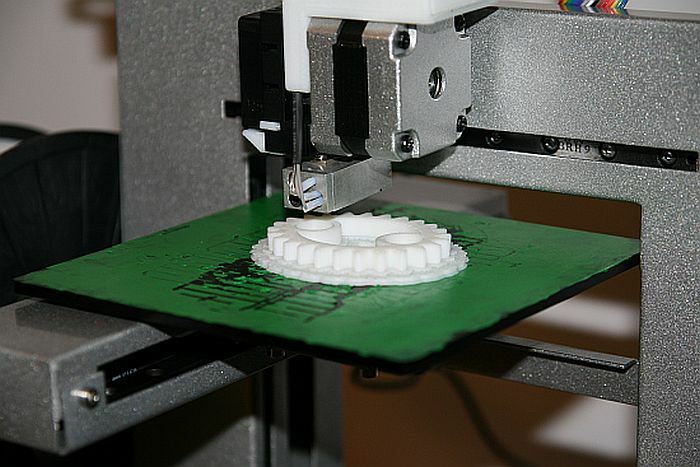 Here are five examples of SMBs forging ahead with 3-D printing. 3-D printing use: Designing and testing a plastic prototype for the board’s aluminum mounts and fittings. LEIF founder Aaron Aders says the aluminum components cost over 600 times the amount of the 3-D printed prototype. He was able to test-ride the plastic fittings until they melted, which is how he knew the design was ready for metal iteration. He was able to manufacture the aluminum parts correctly on the first run—critical for launching the eSnowboard on time and within the budget. 3-D printing use: Making uniquely-designed eyeglass prototypes in-house before sending the finalized design abroad for mass production. Owner David Friedfeld reports his 3-D Printing device has taken at least three months off the production cycle for new design. The company leverages this creative advantage in the design phase to stay closer to the changing styles within the designer eyewear market. 3-D printing use: Designing prototypes for its new wireless environmental sensor, called the ConnectSense, which launched in May. The company has used 3-D printing for prototypes in the past, but this was the first product that utilized a new in-house 3-D printer. Vice President Adam Justice says moving 3-D printing in house cuts the turnaround time for prototype updates from around a month down to three or four days. 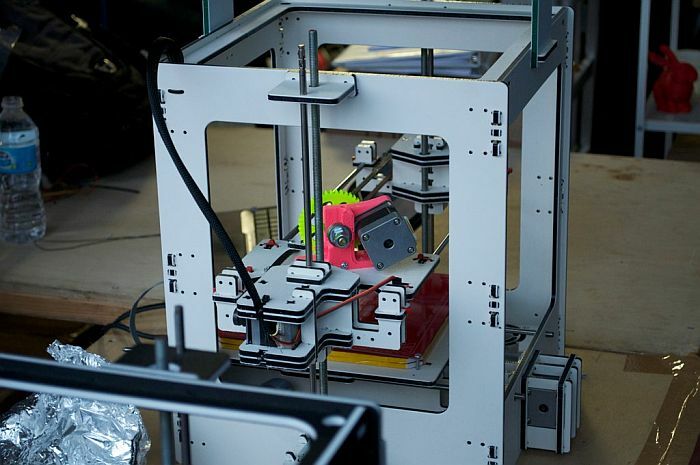 3-D printing use: Manufacturing replacement parts for uncommon or outdated home items. Business owners Caroline de Gruchy and Clive Bilewitz take a broken piece home, run it through a 3-D scanner, repair the piece virtually and print the new part on their 3-D printer. In the past, something like a broken lock may have forced a homeowner to buy a whole set of new windows, but now Bilewitz and de Gruchy use their 3-D printer to offer their clients significant savings. 3-D printing use: Prototype modeling for its own popular clip-on iPhone camera accessory, also making mock-up prototypes for a not-yet released iPhone 5 model. Design director Chong Pak programmed specs for the then still-rumored handset into a 3-D printer, and produced a mock-up on which he based the design for the clip-on camera. He had a finished and validated his version of the camera within days of the mobile handset’s announcement. These are just a handful of examples. 3-D printing technology is so captivating because of its dream-it, build-it capabilities. Its open source nature is custom-fit for entrepreneurial minds to innovate and develop ideas into real, tangible products—faster and with fewer resources than ever before. Lead image by Amy Buser, taken from Flickr Creative Commons. Body image by christopher.e, taken from Flickr Creative Commons.